Poway, CA—Delkin Devices launched the Video Performance Guarantee 130 (VPG-130) version of their 128GB CFast 2.0 memory card. Delivering performance at speeds suitable for professional photographers and videographers, the VPG-130 CFast 2.0 card is specifically for cinema-quality video recording to meet the extensive demands of today’s broadcast, cinema and photography industries. Delkin Devices a manufacturer of flash storage solutions and camera accessories. 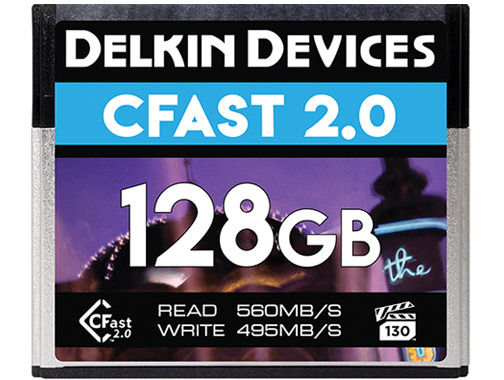 Boasting recording speeds up to 495MB/s, with a minimum sustained write speed of 130MB/s, Delkin’s 128GB VPG-130 CFast 2.0 card captures smooth DCI 4K as well as Full HD video at high frame rates. It also captures 170 full-size RAW images and unlimited JPEGs at 16 frames per sec in the Canon EOS-1D X Mark II. Each of Delkin’s CFast cards undergo an extensive series of tests. This ensures full functionality and performance in today’s high-end cinematic hosts. While not compatible with ARRI cameras at this time, it does support those from Canon, Blackmagic and Atomos. In addition, though not as fast as CFast 2.0, Delkin’s Prime 1050x VPG-65 CompactFlash memory cards were tested to work in Canon’s 1D X Mark II. 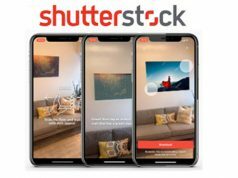 The cards provide write speeds up to 120MB/s for photo and video capture. Moreover, the memory cards come with a lifetime warranty. In addition, Delkin’s American-based customer support team out of San Diego, California, supports the cards. Delkin Devices’ consumer group manufactures storage devices, such as memory cards and digital accessories, for the photography market. The company began in 1986. Moreover, it has offices located in both the U.S. and Europe.